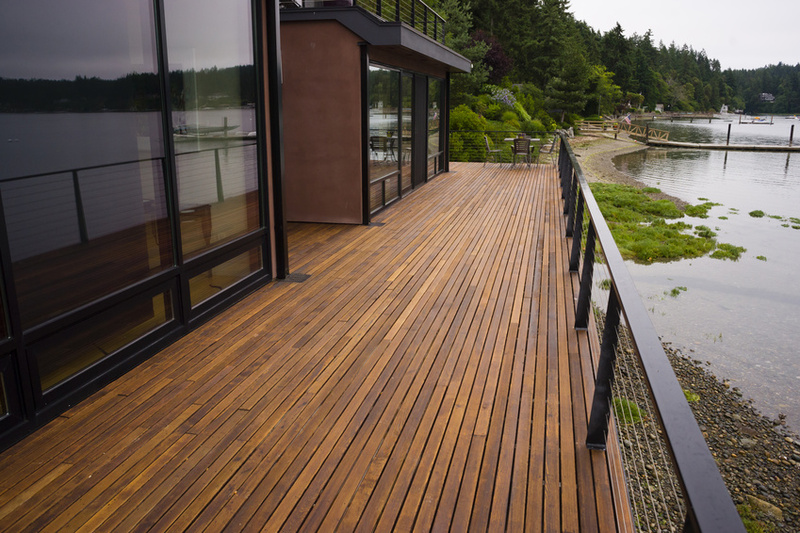 So, you've decided it's time to upgrade your deck -- perhaps because you've noticed there are structural weaknesses, or perhaps you are just ready to give your outdoor space a much-needed facelift. Either way, there are a number of important factors you have to juggle as you prepare for your renovation. We've written this guide to give you a couple of handy tips that will hopefully help you make the most out of your deck. So-called sit and store seating makes a great addition to your deck by providing both comfortable chairs and storage space. These can be made of almost any material to match your style and can even be made waterproof! Don't let your view be blocked by clunky wooden railings or gates. While safety is paramount, it should not be allowed to detract from the beauty of your home's exterior. Cable deck railing systems or steel wire railing for decks is a great way to offer protection for your home without obstructing your view. Bold lighting fixtures are a great way to spruce up your exterior's design, or just a great way to illuminate an evening game of euchre with the family, but the cords providing them power are a serious tripping hazard. When updating your deck, you need to find a way to keep those cords from causing accidents. Try running them underneath the deck itself or safely securing them. Flowers and greenery offer a refreshing pop of color and provide a more whimsical and personal element to your deck. By building in a space on your deck for greenery, you are giving your space a softer, more natural appearance. While we live in a world rampant with homeowners associations and regulating bodies, it is important to have a little fun while you're decorating. Opt for a flashy light feature or choose bold colors. About a third of the single-family homes sold in America in 2014 had both a patio and a porch. Don't be afraid to make yours stand out. Summer is the perfect time to reinvent and upgrade your porch. Take the time to consider the little touches like built-in planters, cable deck railing, or light fixtures that will make your outdoor space more attractive and ultimately more reflective of who you are. Curious about design rail for decks? Contact the Cable Rail Direct team today!